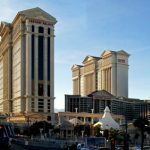 Caesars Acquisition Company (CACQ) reported strong online gains in what could be the final quarterly report to feature contributions from its highly profitable social gaming unit. 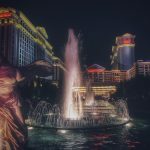 On Tuesday, CACQ – which includes Caesars Interactive Entertainment (CIE) and several brick-and-mortar casinos – reported revenue rising nearly 17% to $673.6m in the three months ending June 30. The gain was driven primarily by CIE, which reported revenue up more than one-third to $249.4m. Despite the revenue gain, operating income fell 8.2% to $90.3m and profits were down 34.3% to $24.3m. The company blamed “increased stock-based compensation expense at CIE” and increases in interest expenses and provisions for income taxes. CACQ sold its Playtika social and mobile gaming division to a Chinese consortium over the weekend for $4.4b, which will have a dramatic effect on future earnings reports when the deal closes sometime in Q3 or Q4. Playtika revenue amounted to $237.4m, up from $175.4m in Q2 2015, while CIE’s real-money online gambling and World Series of Poker operations went from $10.8m to $12m over the same period. 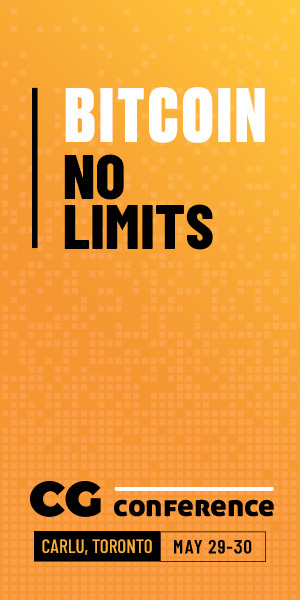 Playtika continued to set the pace for social game monetization, with the ranks of average monthly unique payers rising nearly 100k year-on-year to 891k, representing roughly 4.6% of monthly unique users. Average revenue per user rose 9¢ to 40¢ over the past 12 months. 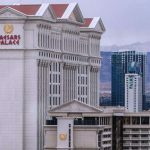 Things were less sunny at CACQ’s brick-and-mortar casino operations – Bally’s Las Vegas, The Cromwell, The LINQ, Planet Hollywood, Harrah’s New Orleans and Horseshoe Baltimore – although revenue rose 8% to $424.2m, operating income gained 28.6% to $70.5m and profit jumped 176% to $21.3m. 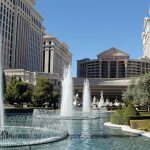 However, these numbers were boosted by a full quarter of contributions from The LINQ, which was still undergoing renovations during the first half of Q2 2015. 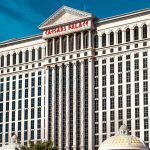 With Playtika headed out the door, CACQ’s numbers will get uglier, although CACQ is itself not long for this world, as it is destined to (re)merge with parent Caesars Entertainment Corporation (CEC) as part of CEC’s restructuring of its bankrupt main unit Caesars Entertainment Operating Co (CEOC). On a related note, the New York Post reported that CIE boss Mitch Garber (pictured) was leaving the Caesars fold. The company has yet to confirm the report but it seems like good timing, given that the Playtika cash cow won’t be around to goose CIE’s numbers and nobody is going to lend Caesars the money to make any new acquisitions for a very long time. However, the Post said Garber wasn’t walking away empty handed, having negotiated a 5% stake in CIE before Caesars acquired the Israel-based Playtika in 2011, meaning Garber stands to collect a windfall of “several hundred million dollars” from the Playtika sale. Given that the money that Caesars’ hedge fund bosses used to acquire and develop CIE’s social gaming operations was spent with the full knowledge that Caesars was technically insolvent at the time, one can only hope that Garber will see fit to share his windfall with the creditors who stand to collect a fraction of the billions they’re owed for keeping his business afloat.